Ranked among the most desirable island destinations on the planet, Anegada is a top choice for your next luxury private flight. Anegada only has a few resorts, but they’re secluded, oceanfront, and impeccably serviced. And in true Virgin Islands fashion, the beaches are postcard clear and the coral reefs are brimming with sea life. Also with its own airport, Anegada is one of the more accessible islands to visit. Air Charter Virgin Islands can arrange the perfect flight itinerary to suit your needs. Our Wyvern certified jet charter representatives have experience with a wide variety of clientele, allowing them to meet your needs whether you’re a first time flyer or a seasoned jet charter veteran. We can arrange everything from multi-leg private flights with gourmet in-flight catering to luxury yacht transport and private helicopter lifts. And we’re available 24/7, allowing you to speak with us whenever you need to. So request a quote now, or give us call to book your luxury private flight to Anegada. While there aren’t that many options, the last thing you’ll hear from Anegada visitors is complaining about the hotels. The few lodging options on this secluded island offer some of the most breathtaking and iconic views found anywhere, and their charming boutique vibe reinforces the feeling that you’re in the middle of nowhere. Any other type of luxury/contemporary hotel or resort would ruin the picturesque atmosphere that makes Anegada great. So whether you choose to stay at the Anegada Beach Club or Neptune’s Treasure, you’re sure to have a great time doing exactly what you came to do- relaxing. However, there are some differences between the lodging options on the island, so if you need some help choosing, keep reading. We’ve compiled a list of the various options on Anegada, so you can start your search here. Based on amenities offered, popularity, and jet charter client feedback, the list ranks the hotels and is sure to aid you in the decision making process. 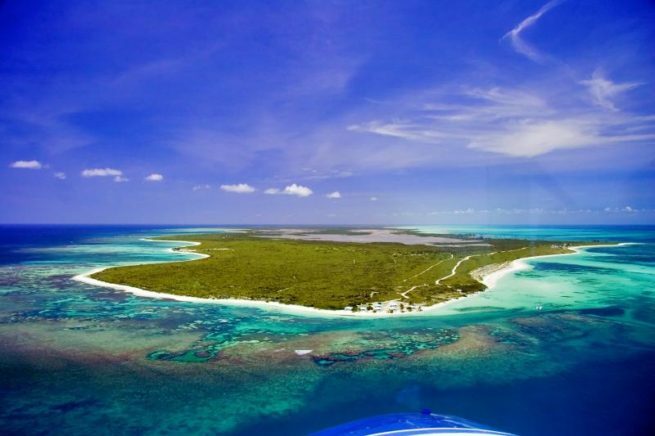 Chartering a private flight to Anegada will place you on the most unique of the British Virgin Islands. Its desert environment strikes a sharp contrast next to the bluest waters you’ve ever seen, while its small array of restaurants, bars, and cottages hints at a relaxed lifestyle detached from worries and life in general. You’ll see the same faces during your visit- Wilfred of the Lobster Trap as he reaches into his ocean-side trap to grab a fresh lobster for you, or Chef Bell at Cow Wreck Beach Resort as he prepares a gourmet meal for you and your friends. Other than that, you’ll see relatively few people on this island 12 miles from the closest Virgin. Food, drinks, and seclusion aren’t the only attractions in the area. 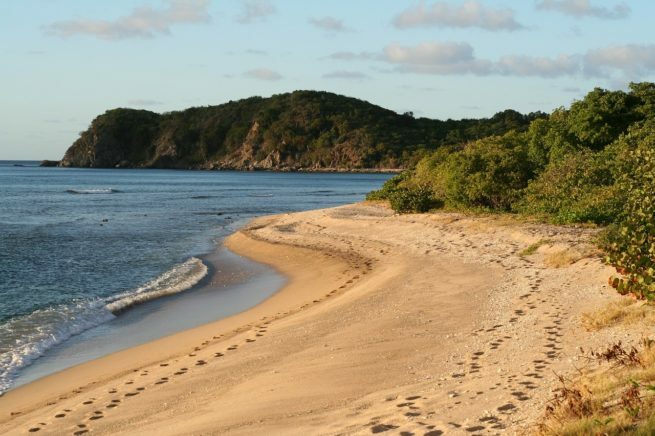 You’ll also find some of the best snorkeling in the islands, several coral reefs to check out, prolific fishing holes, and natural pools in the reef. One such pool is the Bubbly Pool (aptly named), which is sequestered between giant rocks just off the coast. When a wave comes by, the froth fills the pool in such a way as to create a Jacuzzi effect. There are lots of other things to do in Anegada as well. Some of the craft cocktail places on the island are of the absolute highest quality, and some are not. The Island has several bars and other relaxed venues where you can come as you are and kick back. If all of this sounds attractive to you, then Anegada might be the island for you. With so much to do on one tiny island, it can be a bit difficult to wrap your head around it all. If you’d like some help planning your trip, keep reading and check out some more specific recommendations for attractions on the island. Air Charter Virgin Islands utilizes the following airport to fly clients privately to/from Anegada and neighboring areas of the British Virgin Islands. Request a Quote or give us a call at 1-888-987-5387 to speak with one of our Anegada Private Jet Charter agents for your next luxury vacation, business trip or special event.